Melanie Beroth Dobson is the author of the inspirational novels Together for Good (2006), Going for Broke (2007), The Black Cloister (2008), Love Finds You in Liberty, Indiana (2009), Love Finds You in Homestead, Iowa (2010), Refuge on Crescent Hill (2010), and The Silent Order (2010) as well as the co-author of Latte for One and Loving It! A Single Woman's Guide to Living Life to Its Fullest (2000). Times are hard in 1894. Desperate for work, former banker Jacob Hirsch rides the rails west from Chicago with his four-year-old daughter, Cassie. When a life-threatening illness strands the pair in Homestead, Iowa, the local Amana villagers welcome the father and daughter into their peaceful society. 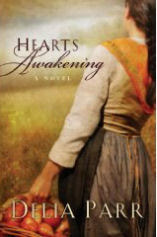 Liesel, a young Amana woman, nurses Cassie back to health, and the Homestead elders offer Jacob work. But Jacobs growing interest in Liesel complicates his position in the Amanas. Will he fight to stay in the only place that feels like home, even if it means giving up the woman he loves? Or will Liesel leave her beloved community to face the outside world with Jacob and Cassie at her side? 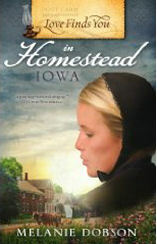 If you would like to read the first chapter of Love Finds You in Homestead, Iowa, go HERE. In our sound-byte society, short stories and poems will always have a place, especially when they've been penned by the likes of Terry Burns. This, the first of four in The Sagebrush Collection, is a compilation of fictional, autobiographical, and fiction-based-on-fact shorts and poems. 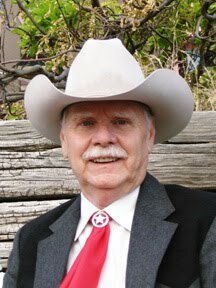 Through fluent cowboy-speak, author Terry Burns shares his heart with these sometimes somber, often humorous, always engaging glimpses of life. From short stories about time machines and troubled marriages to poems of roses and hauntingly cold winds, you’ll find much to savor on the pages within. A born storyteller, Burns style is natural, conversational, and above all real. He’s a fifth generation Irish tale-weaver and a fourth generation Texas Teller of Tall Tales. Storytelling comes as natural to him as breathing. Come along with Terry as he journeys “On the Road Home”. 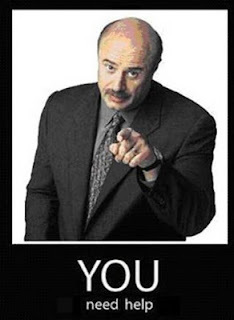 You’ll be glad you did. 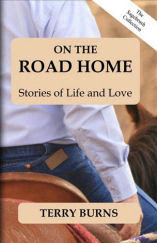 If you would like to read the first chapter of On The Road Home, go HERE. Helpdesk: "Are you sure you used the right password?" Customer: "Yes I'm sure. I saw my colleague do it." Helpdesk: "Can you tell me what the password was?" Helpdesk: "What kind of computer do you have?" Customer: "Hi, this is Rose. I can't get my diskette out." Helpdesk: "Have you tried pushing the button?" Customer: "Yes, sure, it's really stuck." Helpdesk: "That doesn't sound good; I'll make a note." Customer: "No... wait a minute... I hadn't inserted it yet... it's still on my desk... Sorry..."
Helpdesk: "Click on the 'My Computer' icon on to the left of the screen." Customer: "Your left or my left?" Helpdesk: "Good day. How may I help you?" Male customer: "Hello, I can't print." Helpdesk: "Would you click on start for me and..."
Customer: "Listen pal; don't start getting technical on me! I'm not Bill Gates, you know!" Customer: "Hi, good afternoon, this is Martha, I can't print. Every time I try, it says, 'Can't find printer'. I've even lifted the printer and placed it in front of the monitor, but the computer still says it can't find it." Customer: "I have problems printing in red." Helpdesk: "Do you have a color printer?" Customer: "My keyboard is not working anymore." Helpdesk: "Are you sure it's plugged into the computer?" Customer: "No. I can't get behind the computer." Helpdesk: "Pick up your keyboard and walk 10 paces back." Helpdesk: "Did the keyboard come with you?" Helpdesk: "That means the keyboard is not plugged in. Is there another keyboard?" Customer: "Yes, there's another one here. Ahh, that one works!" Helpdesk: "Your password is the small letter 'a' as in apple, a capital letter 'V' as in Victor, and the number '7'." Customer: "Is that '7' in capital letters?" Helpdesk: "What anti-virus program do you use?" Helpdesk: "That's not an anti-virus program." Customer: "Oh, sorry... Internet Explorer." Customer: "I have a huge problem. A friend has put a screensaver on my computer, but every time I move the mouse, it disappears!" Helpdesk: "How may I help you?" Customer: "I'm writing my first e-mail." Helpdesk: "Okay, and what seems to be the problem?" Customer: "Well, I have the letter 'a' in the address, but how do I get the circle around it?" Some days there just aughta be a law! In her best-selling series of Bad Girls of the Bible books, workbooks, and videos, Liz Curtis Higgs breathes new life into ancient tales about the most infamous—and intriguing—women in scriptural history, from Jezebel to Mary Magdalene. Biblically sound and cutting-edge fresh, these popular titles have helped more than one million women around the world experience God's grace anew. Her best-selling historical novels, which transport the stories of Rebecca, Leah, Rachel, and Dinah to eighteenth-century Scotland, have also helped her readers view these familiar characters in a new light. And her nonfiction book, Embrace Grace, winner of a 2007 Retailers Choice Award, presents her message of hope in an engaging and personal way, speaking directly to the hearts of her readers. A veteran speaker, Liz has presented more than 1,600 encouraging programs for audiences in all 50 states and 10 foreign countries: South Africa, Indonesia, Germany, France, England, Canada, Ecuador, Scotland, Portugal, and New Zealand. In 1995, she received the Council of Peers Award for Excellence from the National Speakers Association, becoming one of only 32 women in the world named to their CPAE-Speaker Hall of Fame. Feature articles about Liz have appeared in more than 250 major newspapers and magazines across the country, as well as online with Salon.com, Beliefnet.com and Spirituality.com. 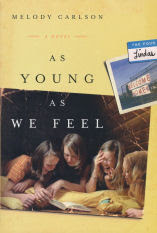 She has also been interviewed on more than 600 radio and television stations, including guest appearances on PBS, A&E, MSNBC, NPR, TBN with Kirk Cameron, CBC Canada, BBC Radio Scotland, Rhema Broadcasting New Zealand, Radio Pulpit South Africa, LifeToday with James Robison, Focus on the Family, Janet Parshall's America, 100 Huntley Street and Midday Connection. Liz is the author of twenty-six books, with more than three million copies in print. 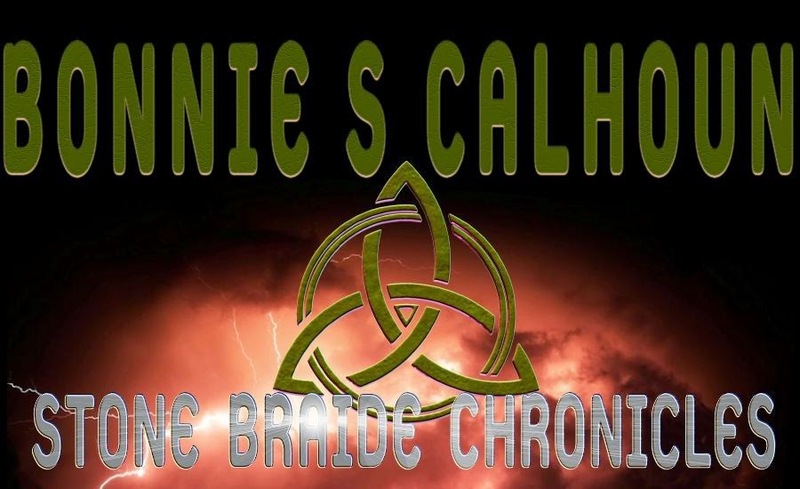 Her fiction includes two contemporary novels, one novella, and four historical novels. And she has written five books for young children. Ronie has been married since 1990 to a man who can easily be defined in classic terms as a hero. She has four beautiful children. Her eldest daughter is 16 this year, her second daughter will be 13, and her twin boys are 10. After having four children, she finally finished her degree in December 2006. She now has a B.S. in Psychology through Liberty University in Lynchburg, VA. Getting her degree is a huge triumph for both her and her family--they survived! and how to not only make them deeper, stronger, but to make them realistic and know how they'll respond to each situation. Her debut novel, Dead Reckoning released March 2010 from Abingdon Press. And her Discarded Heroes series begins in July from Barbour with the first book entitled Nightshade. Underwater archeologist Shiloh Blake is consumed with passion for the water and inflamed at the injustices of life. 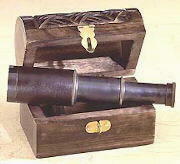 When her first large-scale dig traps her in the middle of an international nuclear arms clash, she flees for her life. When she spots a man trailing her, the questions are, Who is he? And how is he always one step ahead? Is the man trailing her an enemy or a protector sent by her CIA father? Reece Jaxon is a former Navy SEAL and now serves his country as a spy. His life is entangled by the beguiling Shiloh Blake as he hunts down the sources to a nuclear dead drop in the Arabian Sea near Mumbai, India. The only way to end this nightmare and prevent a nuclear meltdown is to join forces with Reece. Will Shiloh violate her vow to never become involved in her father's web of intrigue and mystery? Will she reconcile with her past and with him? 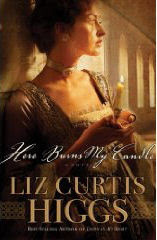 Will she allow God to help her throught this ordeal of danger, mistrust and uncertainty? Leanna's sister recommended that she write, since she ‘wrote in her journal all the time.’ The idea took root and began to grow. So after five years of teaching, she quit and started writing, with no clue about the book business. Ignorance is bliss. If she’d known the odds against her, she might not have ever started writing. For about three years, she wrote with a collaborator, but because she had so many ideas she began to write more stories on her own. She suffered numerous rejections. Deservedly so. But she was growing as a writer and learning. She went to as many conferences as she could manage. During that time, she met her future husband, fell in love and became engaged. She also began to final in contests and then actually began to win! The contests helped her get noticed by editors and agents. In March, the year Braveheart won the Best Picture Oscar, Victor/Victoria opened on Broadway, she sold her first book. It was her Cinderella year. 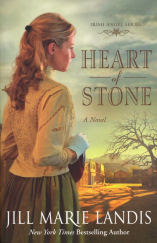 She sold her book, got married and won RWA’s Golden Heart Award in Hawaii. She wrote six books between her first baby’s birth and when the second baby turned one. Then she hit a wall. Not literally. But creatively. It’s not that she didn’t have any ideas, but her ideas didn’t fit the romance market. These new characters, random and weird as they were, began to take over the part of her brain that wasn’t domesticated. These stories were about all types of women, and so she began to let her writing grow in new and different ways. 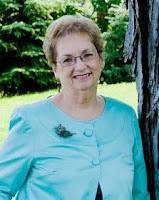 Leanna Ellis sold more than 1.3 million romantic novels writing as Leanna Wilson, winning a Readers’ Choice award and the Romance Writers of America Golden Heart award for her work. Elvis Takes a Back Seat is the first book published under her married name, marking a new creative direction in her writing. Like Francine Rivers before her, Leanna has left behind a successful career as an author of secular romances to write novels of faith that glorify God. A former schoolteacher, Leanna is now a homeschool mom and lives with her husband and children in Keller, Texas. Bryn Seymour was nine years old when her mother died under mysterious circumstances on the same day Apollo 11 made its historic lunar landing. Forty years later—divorced, working as an obituary writer, and duly cynical—she meets Howard, a conspiracy theorist who knew her mom and believes a small Texas town may hold clues to what really fueled her demise. Seeking closure, Bryn goes along for this men-in-black ride. But upon meeting Howard’s son Sam, an outspoken Christian, she can’t decide whose beliefs are more pie-in-the-sky. The gravity of life has pulled Bryn down for decades. But a perfect love could be her first step to soaring. It only happens once in a blue moon. 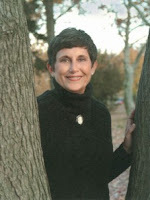 Debbie Viguié has been writing for most of her life. She has experimented with poetry and nonfiction, but her true passion lies in writing novels. She obtained her Bachelor of Arts degree in Creative Writing from UC Davis. While at Davis she met her husband, Scott, at auditions for a play. 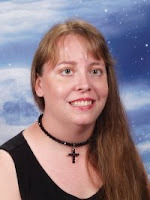 Debbie's love for writing brought her from working as a church secretary to a successful career writing supernatural fiction. She is the author of Midnight Pearls, Scarlet Moon, and Charmed: Pied Piper, and the young adult Sweet Seasons series. She also is coauthor of the New York Times bestselling Wicked book series. Debbie and Scott now live on the island of Kauai, Hawaii. When Debbie is not writing and Scott has time off they love to indulge their passion for theme parks. Cindy and Jeremiah come from two different worlds, even though they work right next door to each other. Cindy is a strong Christian who lives a normal but somewhat dull life, working as a church secretary. Jeremiah is a Reformed rabbi with a mysterious past full of danger and excitement. But one eventful Easter/Passover week, the two find themselves working together to solve a murder and stop a serial killer from striking again. Solving the mystery should put an end to their alliance, but the church secretary and the rabbi quickly find themselves enmeshed in another mystery. Soon the two form a friendly alliance and friendship, exploring personal history and faith and growing closer with each passing adventure. Despite their differences Cindy and Jeremiah find a lot of common ground. 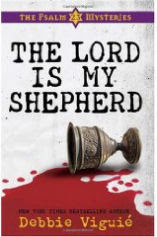 If you would like to read the first chapter of The Lord Is My Shepherd, go HERE. you see people with very strong facial expressions. Can you identify what is happening? Most readers want to know how authors 'got started' writing. My first novel, Threads of Love, was conceived when I was commuting sixty miles to work each day. I had absolutely no idea how publication of a book occurred and had given no thought to the concept. However, through a co-worker, I was directed to Tracie Peterson who, at that time, worked down the hall from me. With a graciousness that continues to amaze me, Tracie agreed to read my story, directed me to a publisher, and gave me information on a Christian writers conference. Since that first encounter many years ago, I have been blessed with the publication of numerous books, novellas and a juvenile fiction book. Joyously, Tracie and I had the opportunity to develop a blessed friendship. In fact, we have co-authored several series together, including The Bells of Lowell, the Lights of Lowell and The Broadmoor Legacy. In addition, I have continued to write several solo series. 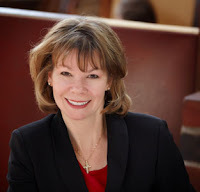 Note: Judith Miller is an award-winning author whose avid research and love for history are reflected in her novels, two of which have placed in the CBA top ten lists. In addition to her writing, Judy is a certified legal assistant. Judy and her husband make their home in Topeka, Kansas. Johanna Ilg has lived her entire life in Main Amana, one of the seven villages settled by devout Christians who believe in cooperative living, a simple lifestyle, and faithful service to God. Although she’s always longed to see the outside world, Johanna believes her future is rooted in Amana. But when she learns a troubling secret, the world she thought she knew is shattered. Is this truly where she belongs?